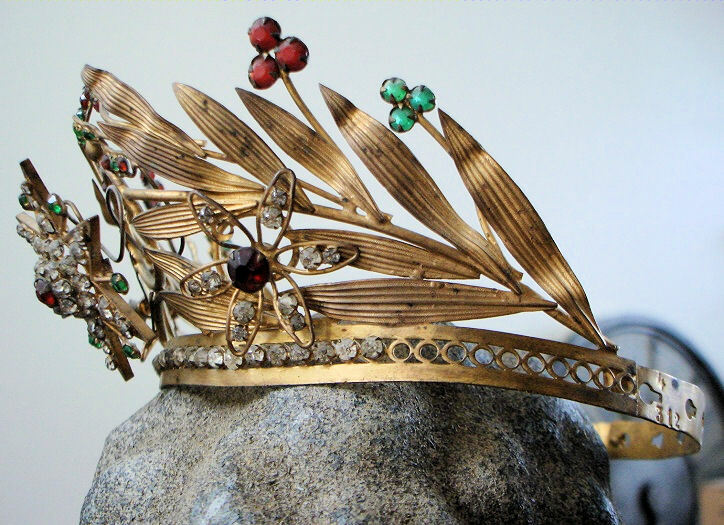 One of my passions is collecting the old French Crowns and this one is the best of the best! Featuring a gorgeous Tremble Jeweled Lily Flower, upon a beautiful gilt washed base. The jewels are spectacular on this piece, and the ornate metal work with the shafts of wheat and flowers is incredible. 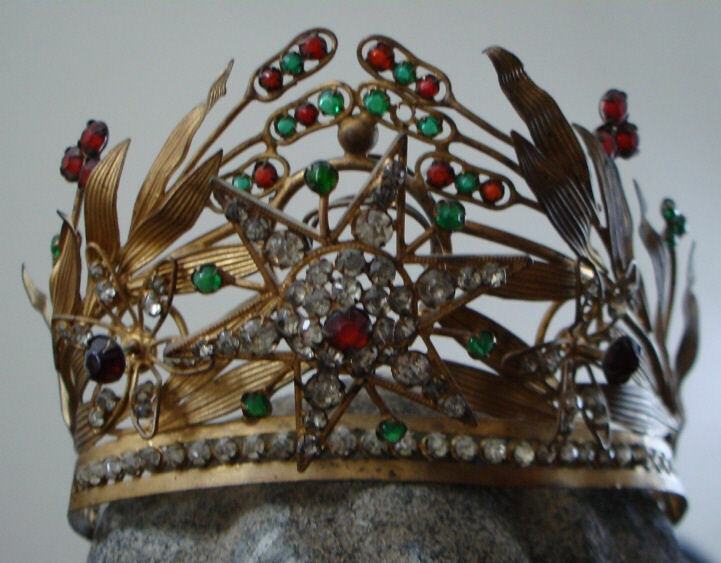 This is a life size crown most likely worn by a saint in the late 1800s. This crown is also marked as you can see on the side with a number. In excellent condition, and truly a very rare find. 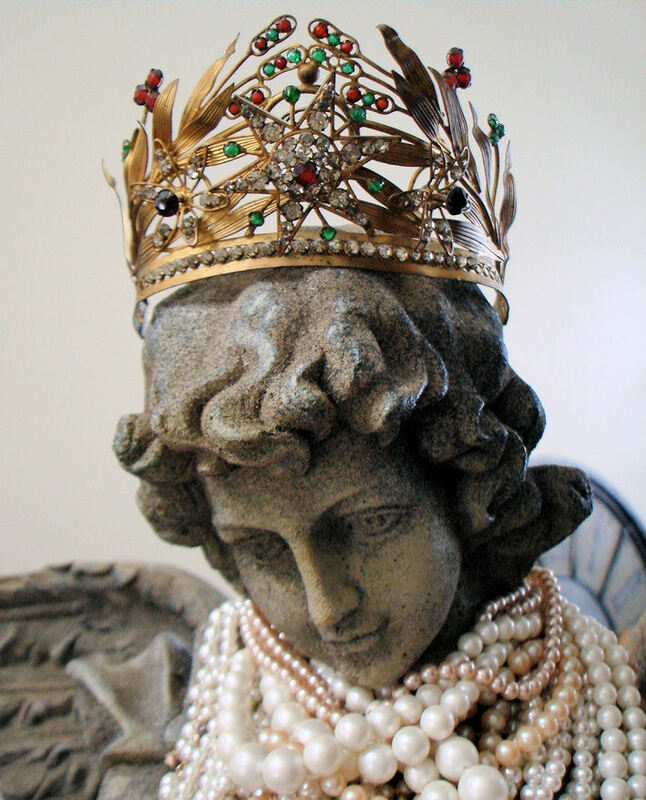 Perfect for dressing your statues or adding glitz to your Boudoir with. It measures 3 inches tall by 4 1/2 inches wide by 5 1/2 inches deep.